In honor of #NationalBrunchDay, Beth Branch of Bethcakes baked up her Blueberry Coffee Cake with Cinnamon Pecan Crumb Topping and served it on our new Draper James brunch collection. In case you haven’t heard, we’ve officially declared Saturday #NationalBrunchDay. After all, since practically everything else has an official day of its own (ever heard of Toothache Day and Umbrella Day—they exist! ), why shouldn’t Reese’s favorite meal get its due, too? To celebrate, we’re giving away our Draper James brunch collection, a limited edition collection from our friends at Packed Party, and a $250 Draper James shopping spree. Click here to enter. 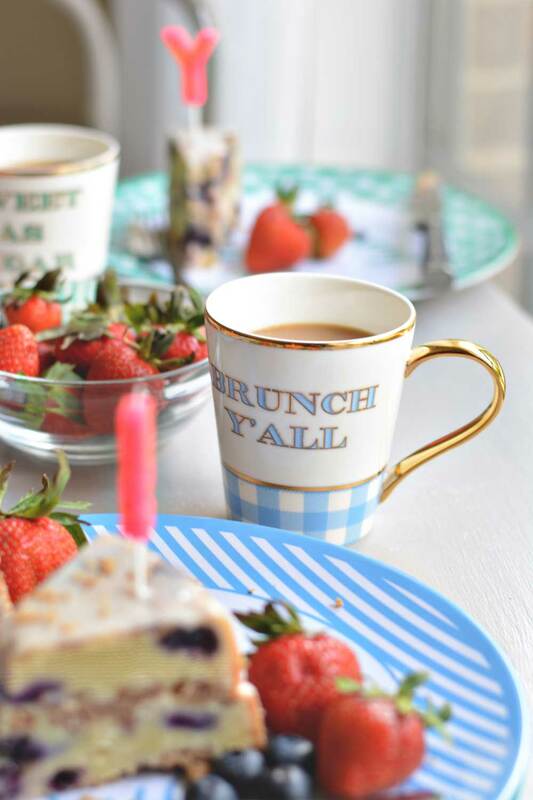 We’re also inviting you to celebrate with us on Instagram by tagging us @draperjames (and hashtagging #NationalBrunchDay) with your own brunch pics. 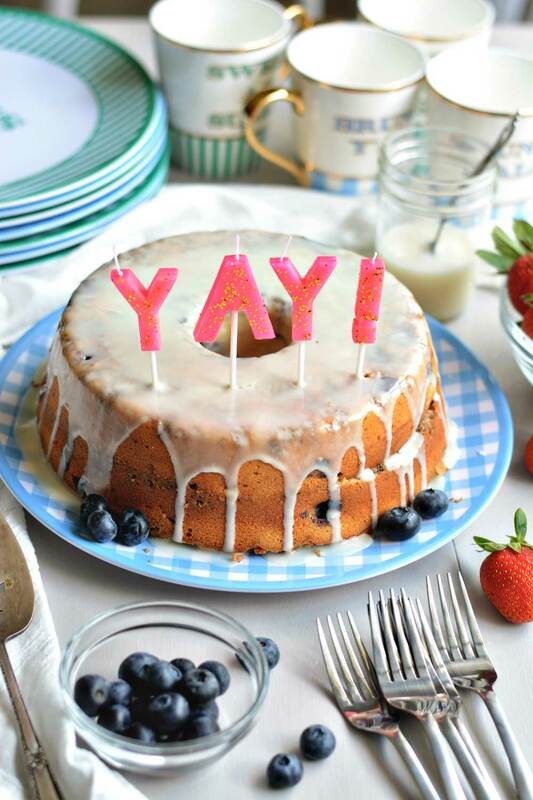 To get your menu going, we’ve called on our pal Beth Branch of the drool-worthy blog Bethcakes. This Birmingham-based baker had us in love with her lemon bars a few weeks ago, and now she’s back to kick off your Saturday morning in the sweetest way possible—with her recipe for Blueberry Coffee Cake with Cinnamon Pecan Crumb Topping. Click here for the recipe, and read on for a bit from Beth. 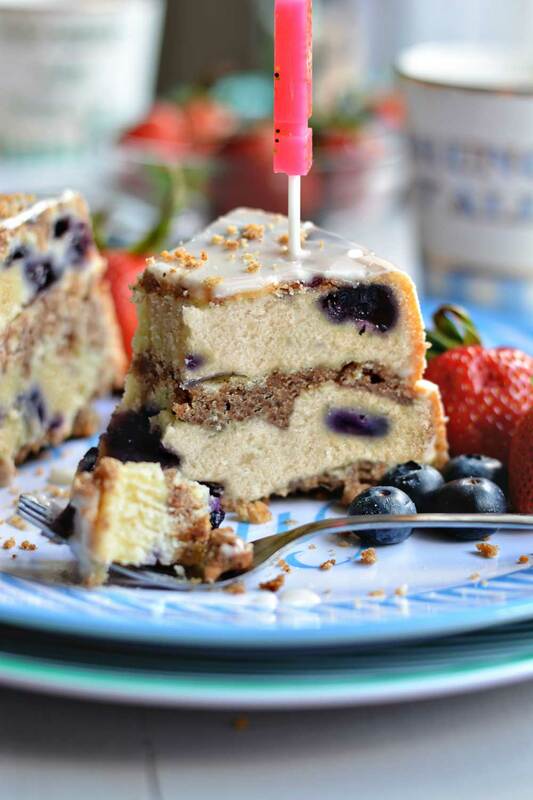 Tell us a little about your Blueberry Coffee Cake with Cinnamon Pecan Crumb Topping. Sounds delicious! I’m definitely a dessert person. I love the idea of having coffee cake at brunch because it’s almost like having dessert after a meal! I really wanted to incorporate some fresh summer berries into the cake, as well as serve some on the side. For what occasion did you make it? I decided to put together a little brunch for my family one weekend to thank them for helping me with some things around the house. I’m a big fan of homemade and edible gifts! What do you love about brunch? I have always been a big fan of breakfast foods. Brunch is just a more fun—and sometimes fancier—version of breakfast! To me, whether you’re making it at home or going to get it at your favorite restaurant, brunch is a great excuse to get together with friends on the weekends and eat all your favorite breakfast foods! Thoughts on the Draper James brunch collection? I absolutely adore this collection! The coffee mugs might be my favorite things, but it’s so hard to choose. I’d love the recipe but none of the links work!